Founded in 1965 Steed Upholstery are synonymous with creating upholstery of outstanding quality and pride themselves on creating only the finest hand made furniture, sold through a network of independent retailers and high street furniture chains throughout the UK and beyond. 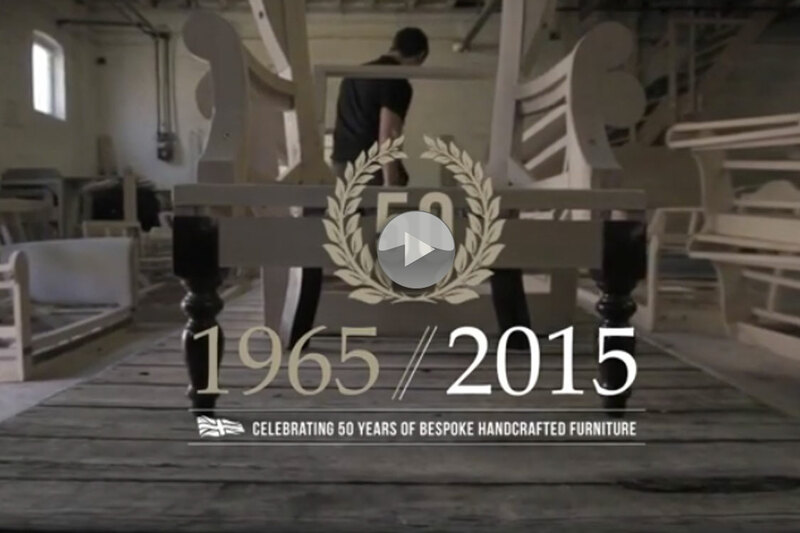 To mark their 50th year Steed Upholstery commissioned a corporate video to convey the handmade quality of there bespoke manufacturing process to an increasingly global audience. Our brief from Steed Upholstery was simple… to produce a corporate video production that exudes the refined elegance you would expect from one of the UK’s leading furniture manufacturers. With careful consideration we scripted the narrative, matched this to a hand picked female voice over artist and recorded the perfect tone to articulate the Steed Upholstery story over a subtle background audio. Our meticulous attention to lighting detail ensured all of our raw video footage was filmed to recreate the hallmark of photographic quality as if captured in a showroom environment. The finished corporate video is currently undergoing trials to become the focal point of a freestanding point of sale display unit (FSDU) as part of a considered drive to increase sales revenue across Steed Upholstery’s network of independent retailers.